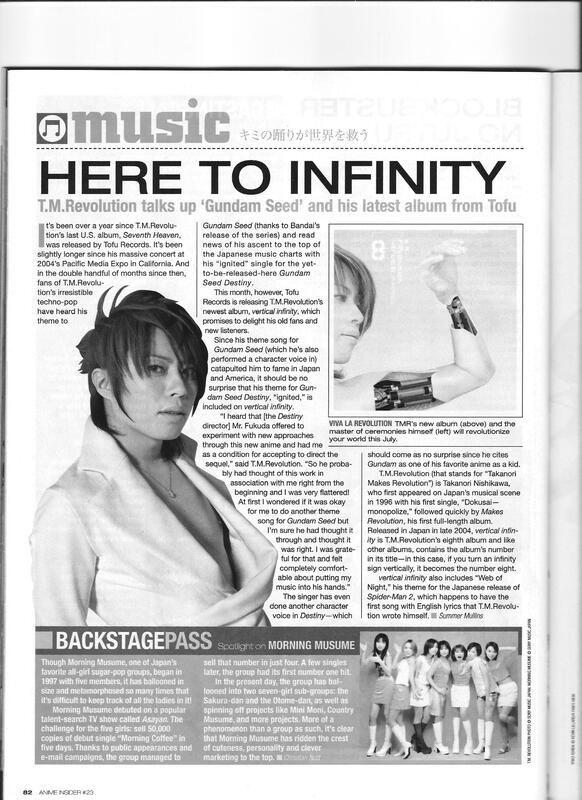 A short pre-Gundam Seed s2 interview with TM Revolution. According to him, TM Revo being involved was one of the conditions set by Director Mitsuo Fukuda to come back and direct the sequel. This entry was posted in Old Magazine Articles and tagged Borderline Plagarism for the Freedom of Information, Mitsuo Fukuda, Music, TM Revolution by torisunanohokori. Bookmark the permalink.